A feasibility study released Wednesday for the Ajax copper-gold project estimates the capital costs at $795 million. The mine near Kamloops, British Columbia, is a joint venture between Polish copper mining heavyweight KGHM (51%) and Vancouver-based Abacus Mining and Exploration (CSV:AME), which owns 49%. The news did not move Abacus' stock price, which was trading at 15 cents at mid-day. The deposit has proven and probable reserves of 3 billion pounds of copper and 2.7 million ounces of gold. The 60,000 tpd open-pit mine would run for 23 years and produce, for the life of the mine, 2.5 billion pounds of copper and 2.28 million ounces of gold concentrate. (Annual production figures are 109 million pounds of copper and 99,000 ounces of gold). "The FS confirms the economic viability of the Ajax Project at long term copper and gold prices, and demonstrates the leverage to increases in metal prices. At recent market prices the project is very robust and the NPV nearly quadruples from the base case with an associated 2.2 year payback of initial capital," said Abacus President and CEO James Excell. KGHM has 90 days to decide whether to increase its interest in the joint venture to 80%. If KGHM elects not to up its share, Abacus then has three months to decide whether to purchase KGHM's 51% interest for $37 million. Abacus acquired the Ajax property from Teck Resources in 2002. The mine operated intermittently between 1989 and 1997, during which time about 17 million tonnes was mined and 13 million tonnes milled. Earlier this month, KGHM announced a C$3 billion purchase of Canadian copper and nickel producer Quadra FNX. The state-controlled miner is looking at five more takeovers abroad as it aims to raise annual copper output to 700,000 tonnes by 2018, Reuters reported. 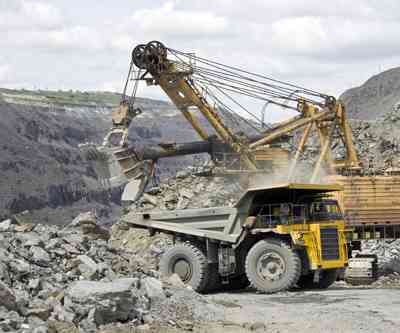 The company wants to complete the acquisitions before an increase to the mining tax in Poland.